Growing strawberries can be easy and fun. 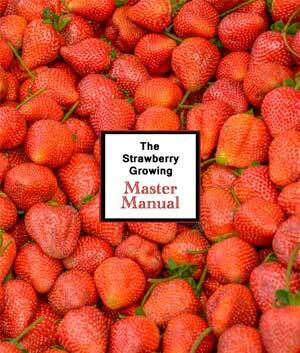 Learn the tips and techniques that will make you a successful strawberry grower here, and begin growing strawberries today! 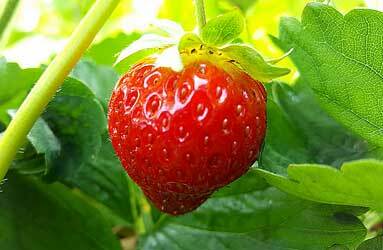 Why Should You Transplant Strawberry Plants? Most strawberry plants will produce many runners over the course of its life. For the home gardener, this is great! You get to buy (or otherwise obtain) a few strawberry plants and watch them multiply themselves exponentially. However, the little fellas don’t know when to stop producing runners when the maximum productive capacity of a confined strawberry bed is reached. So, a gardener who desires lots of high quality strawberries will have to remedy this overcrowding. It can be done either by thinning the plants or transplanting the plants to a new area. Also, if the soil isn’t particularly well-suited for growing strawberries, transplanting strawberry plants to a rich, sandy loam with good drainage can make all the difference in the world. Companion planting has a long, storied history. Individuals have noted benefits (and drawbacks) when certain plant species are grown in close proximity to one another for hundreds of years, and many books have been written on the topic. Interestingly, the scientific causes of many of these relationships are not fully understood. 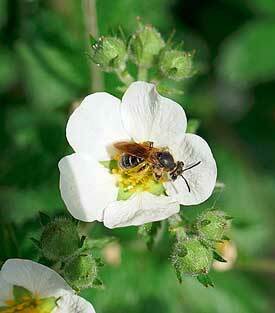 But, the principles work and the beneficial symbiotic relationships can be measured among many types of plants. The increased biodiversity is usually beneficial, but the planting of various plants in close proximity often yields multifaceted benefits. 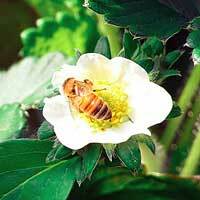 Two of the primary benefits are pest control and increased yield. There are many resources available to help develop a garden (or even a permaculture) that thrives based on mutual assistance and inter-connectivity of well-planned companion planting layouts. The purpose of this post, however, is to deal specifically with companion plants for strawberry plants and what benefits can be achieved by companion planting strawberries in your garden. 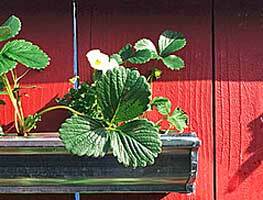 Strawberry plants can be a little finicky when it comes to their real estate. It is extremely important for any new strawberry grower to identify the best location for strawberry plants among the potential sites. If the location is poorly suited for growing strawberries, you won’t reap a big harvest of plump, juicy fruit. But, fear not! This guide will help you locate and identify the best location for strawberry plants among the sites you are considering. If you want to grow strawberries successfully, it is imperative that you keep strawberries clean throughout the growing process. Soil, while full of beneficial nutrients, is also full of pathogenic fungi and other creepy-crawlies. 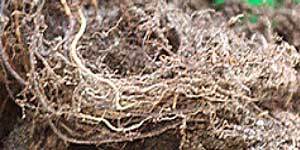 Soil-borne microorganisms can wreak havoc on a strawberry planting. So, it is vital to protect the vegetative parts of the strawberry plant (leaves, stems) and the fruit from coming into contact with soil as much as possible. Historically, strawberries were kept clean with a healthy layer of straw to serve as mulch and to keep the vulnerable parts of the plant from getting coated with contaminants. 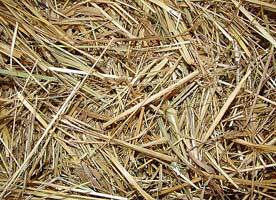 The layers of clean straw provided a barrier between the dirt and fruit, and also served to dissipate rain droplets from above. As rain falls, the drops form puddles in gardens without mulch. when enough water collects, the droplets hurtling toward the ground hit the puddles and cause dirt-permeated water to fly every which way. This contaminated water is spread up and out from the impact. Consequently, fruit and leaves that need to stay clean are often coated with the pathogenic fungi that will end up infecting and damaging both fruit and plants. 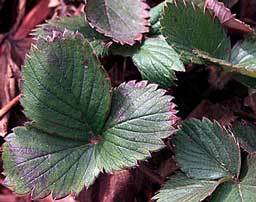 Winterizing strawberry plants is necessary for gardeners in many areas. 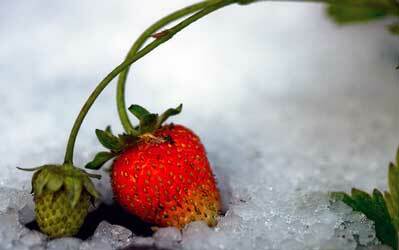 As the temperatures drop each year, people write in asking when and how to winterize strawberry plants. This post will cover the basics and help you determine how and when to protect your strawberry plants as the weather cools. 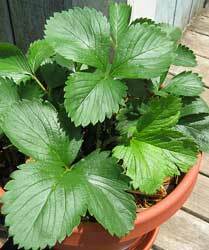 Strawberry plants are perennial. They produce for many years after the initial planting, and they can thrive for very long periods if a rotation is used to keep plants fresh. But, there is a problem with perennial plants. How do they survive the freezing temperatures of the winter months? Well, strawberries are classified as forbs. Consequently, they don’t have the thick bark that protects many other perennials like most trees. If they don’t get extra protection (at least in the colder Zones), they will either die or suffer cold injury. Both death and injury can significantly hamper your plants’ ability to grow strawberries for you! When Do Strawberry Plants Die? When do strawberry plants die? My strawberry plants are doing badly. They used to flourish for the first 3 years, but now are thinning out and getting scraggly. It is mid-September, I read about renovation – to be done around June after harvest. Can these plants be dug up and dried out through the winter, and replanted in the spring? When I bought them they were just dried out looking bare clean roots. What should I do to keep them happy and healthy? 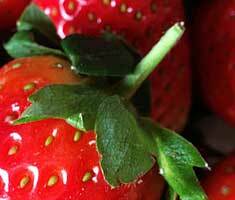 Read moreWhen Do Strawberry Plants Die? How Old Are My Strawberry Plants? We have strawberries in raised beds. We are getting smaller and smaller berries every year. I think I need to thin the plants. Is there a way to tell by looking at them which plants are oldest? I need to know how old are my strawberry plants. We also need to fertilize and water them. We were really just letting nature take it’s course. With a fair amount of success until now. The berries are just mostly really small this year. Thanks for this site. It was very helpful. I’m also wondering if when you create new plants from runners are you supposed to pinch off the blossoms on those or just on new bare root plants? If you are supposed to pinch them off the new runner plants, how can you tell which plants are new in the Spring? They all look the same to me in the bed. Thanks. 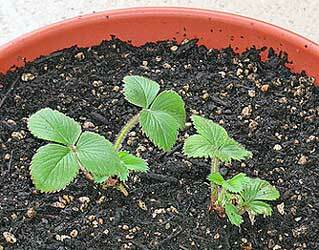 Read moreHow Old Are My Strawberry Plants? 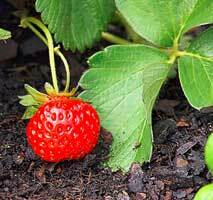 When Should Strawberry Plants Be Mulched for Winter? I have a few raised beds with strawberry plants planted in them. 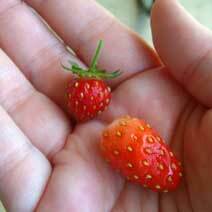 I got them as potted plants and had a decent crop and got several gallons of strawberries from all my plants combined. I planted them this spring, instead of last fall like you recommended (I hadn’t found this site yet). I followed all the instructions for renovation and mowed them and limited the runners so they didn’t overgrow everything. It may have been mentioned somewhere else, but when exactly do I mulch the plants for winter? I seem to get different information on a quick google of mulching strawberries. 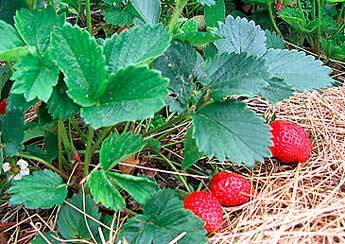 Exactly when should strawberry plants be mulched for the winter months? I don’t want to smother them or cause any harm if the plants aren’t ready. I still have some green living-looking leaves on my plants, although most of the big leaves have turned mostly brown and look dead. Can you give me some advice as to how to go about mulching? Any help would be much appreciated! 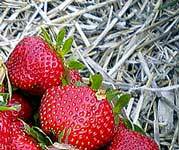 Read moreWhen Should Strawberry Plants Be Mulched for Winter? Q: Why Are My Strawberries Small? Hi, I was hoping you could help me with a problem I have. I need to know what causes small strawberries. I planted my strawberries last year during September, and they put out some greenery before dying back for the winter months. This spring they came up and looked to be doing pretty well. They put out flowers on stalks that started to grow, but the size of the fruits that are produced are all tiny. They are only about half an inch big, give or take a little. I’ve done my best to water them, and follow the instructions for what should give a good crop, but I’m still stuck wondering what causes small strawberries after doing everything I can to make them big. Can you tell me why are my strawberries small instead of big and plump like they are in the store? Any help would be appreciated! Thank you. Read moreWhat Causes Small Strawberries? Normal price for this eBook is $37 but now you can get it for just $11.97. Did you know that you you can easily grow your own Delicious strawberries at home in as little as one half of a cubic foot of dirt! Did you know that Strawberry plants are one of the most productive garden plants based on size-to-harvest ratio? You can save a lot of money by growing your own strawberries! Did you know that it’s super enjoyable to see little plants produce heaps of strawberries that you can immediately eat! There is no need to fight the crowds at the supermarket or grocery store to enjoy ultra-fresh berries. 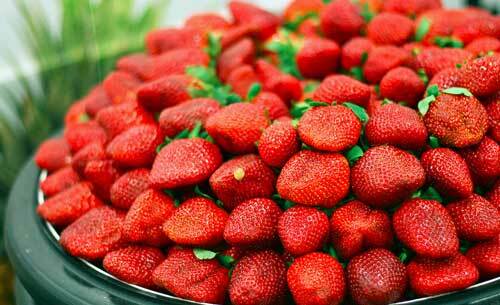 Did you know that strawberries have numerous health benefits! They are rich in minerals and vitamins. They have 18 different amino acids + they are loaded with flavonoids. It is finally that time of year again! The winter freeze is in the process of giving way to the spring thaw, and that means it is time to start planning your garden. The sooner you start planning, the sooner you will be ready to plant, and the sooner you will be ready to harvest delicious earth-grown produce. Novelty strawberries could be an option for the adventurous gardener this year. Since strawberry plants often find their way into many gardeners’ plots each year, I thought it might be beneficial to review some of the lesser-known options. 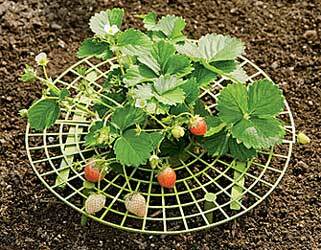 If you have a square foot garden or a few extra rows (or even a partial row) of space to use, you may want to consider branching out into some of these novelty strawberry varieties. Strawberry plants are, in my humble opinion, a truly fascinating marvel of nature. They are amazingly adaptable; they propagate themselves in a plurality of ways; and they produce a fleshy red, white, yellow, or purple fruit that is universally prized by the intelligent and instinctive creatures that live all around us (including us human folk!). They have developed and adapted means of surviving sub-zero temperatures, and, consequently, can be grown from the warmer temperate regions of our great planet all the way north or south to the frigid regions. Although strawberries have been at the pinnacle of the produce pyramid for decades, their popularity continues to grow. 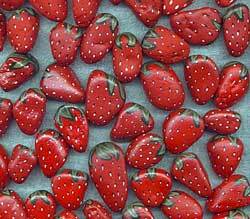 Unless a strawberry allergy forces a saddened consumer away from these bright red edibles, they are usually the first to vanish from fruit trays across the globe. Strawberries are delicious, there’s no doubt about that, but they have gotten a bad reputation of late. Conventional growing methods use fumigants, chemicals, and other methods to maximize production and profits. But, more and more people are becoming disillusioned and distrustful of conventional methods and are increasingly concerned over potential deleterious consequences of consuming the trace amounts of those chemicals when the fruits are consumed. This trend toward natural and organic produce has opened a door for new growers to eschew chemical-based practices for potentially safer methods of growing strawberries. The market for organic strawberries is growing, and the interest in growing them is increasing among potential strawberry farmers as well due to the premium price that organic strawberries bring over their conventionally-grown counterparts. 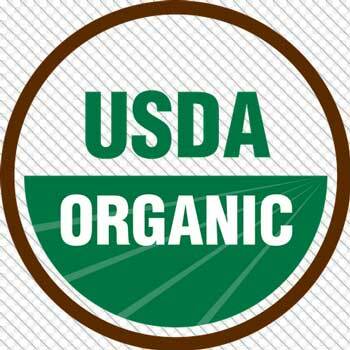 I have been growing and helping others grow organic strawberries for many years. While the segment of the population that is concerned about how their food is grown is still a minority, more and more people are discovering the benefits of sustainable agriculture. And, as more and more gardeners test out their green thumbs, gardens all around the world are finding strawberry plants inhabiting space next to herbs and other garden plants. Going green and growing healthy food go well together; and since virtually everyone loves strawberries, this post will help those who want to eschew the conventional methods (which are somewhat notorious for producing dirty strawberries) for potentially safer ones. 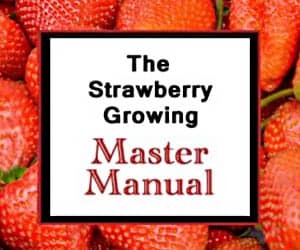 Plus, since no one wants to trade a basket full of bright, plump strawberries for just a hand full, the four secrets I’ll fill you in on momentarily will help you get started on your journey of successfully growing organic strawberries! This excellent document was produced by a very skilled and knowledgeable team from Cornell University. The coordinating editors were Juliet Carroll, Marvin Pritts, and Catherine Heindenreich. Multiple contributors included: Kerik Cox, Greg Loeb, Michael Helms, Andrew Landers, Paul Curtis, Courtney Weber, and Laura McDermott. The staff writers were Elizabeth Graeper Thomas and Theodora Bucien, while Mary Kirkwyland and Michelle Marks further edited the 2013 version of this guide. This production was funded in part by the New York State Department of Agriculture and Markets. For each of the departments and specialties represented by the contributing team, download the resource via the link at the end of this page.